As stated in the Spatial Material, objects can show reflected or diffuse light. Reflection probes are used as a source of reflected and ambient light for objects inside their area of influence. A probe of this type captures the surroundings (as a sort of 360 degrees image), and stores versions of it with increasing levels of blur. This is used to simulate roughness in materials, as well as ambient lighting. They are efficient to render, but expensive to compute. This leads to a default behavior where they only capture on scene load. They work best for rectangular shaped rooms or places, otherwise the reflections shown are not as faithful (especially when roughness is 0). This should result in immediate local reflections. If you are using a Sky texture, reflections are by default blended with it. By default, on interiors, reflections may appear not to have much consistence. In this scenario, make sure to tick the “Box Correct” property. Adjusting the box walls may help improve the reflection a bit, but it will always look best in box shaped rooms. 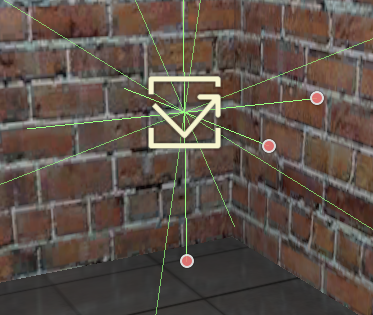 If you are using reflection probes in an interior setting, it is recommended that the Interior property be enabled. This stops the probe from rendering the sky and also allows custom ambient lighting settings. When probes are set to Interior, custom constant ambient lighting can be specified per probe. Just choose a color and an energy. Optionally, you can blend this ambient light with the probe diffuse capture by tweaking the Ambient Contribution property (0.0 means pure ambient color, while 1.0 means pure diffuse capture). 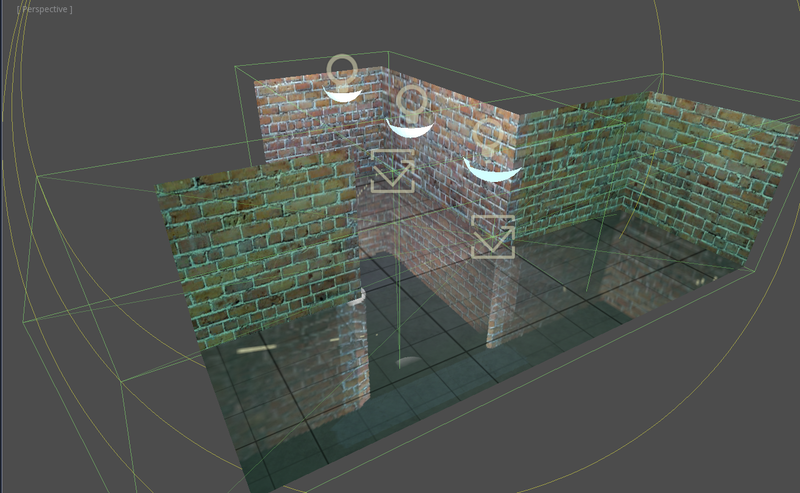 As you can see, this blending is never perfect (after all, these are box reflections, not real reflections), but these artifacts are only visible when using perfectly mirrored reflections. Normally, scenes have normal mapping and varying levels of roughness, which can hide this. Finally, blending interior and exterior probes is the recommended approach when making levels that combine both interiors and exteriors. Near the door, a probe can be marked as exterior (so it will get sky reflections) while on the inside, it can be interior.